Ananda Spa is located in the tranquil Himalayan foothills, in the close proximity of mythological cities of Rishikesh and Haridwar. Counted among the top 10 luxury spa resorts in India as well as world, this health resort provides holistic treatments to cure body illness and strengthen mental faculties. The Ananda Spa is known for its extensive spa treatments. At Ananda follow the spiritual pathway that redefines your lifestyles by including the traditional Indian wellness practices of Yoga, Vedanta and Ayurveda along with the best of International Wellness Experience. Enjoy indulging in this retreat that is sure to leave you breathless in the enchanting surroundings. Gift yourself a vacation to pamper your mind, body and soul while enjoying the serene and alluring surroundings of this luxury abode. Located in the small town of Narendranagar, Ananda Spa Resort is located in proximity to the holy cities of Haridwar and Rishikesh. This luxury spa resort is well connected to the various parts of the country with the modern mode of transportation. By Road: To reach this resort from Delhi, it will require you to drive for 5 to 8 hrs and would largely depend on the traffic conditions of the city. By Air: To reach Ananda Spa Resort, there are regular flights from the metropolitan cities like Delhi and Mumbai. 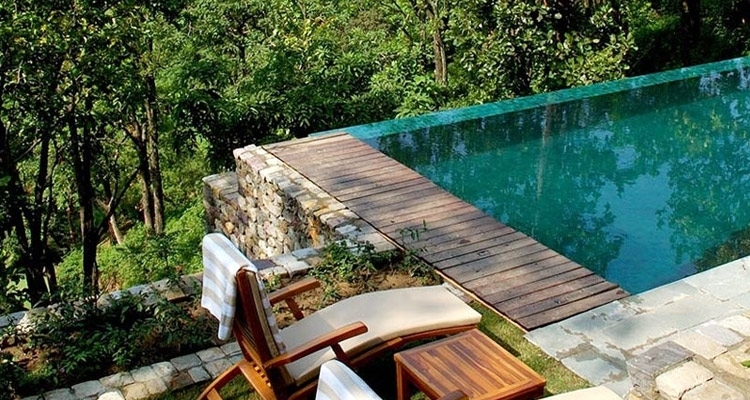 Get down at the Jolly Grant airport at Dehradun followed by an hour’s drive to the Ananda the beautiful spa resort. By Train: Those who wish to travel to Ananda by train can take a 4 hrs train journey from Delhi to Haridwar followed by a one-hour drive. 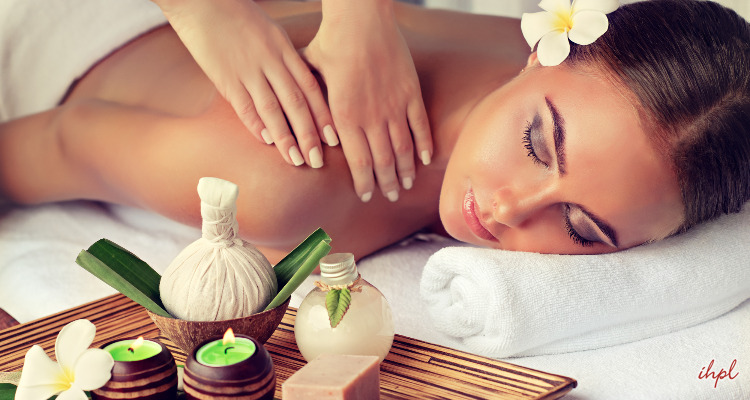 A quick pick-up and drop from the Railway station or airports are provided by this world class spa to its guest. The Ananda Spa is spread in the wide area of 24,000 sq foot and offers an extensively designed menu featuring more than 80 body and beauty treatments. At the Spa in Ananda, there is a scientific process which is applied to catch hold of the imbalance in the three key bio energies or three Doshas such as Vata, Pitta and Kapha. These bodily doshas are scrupulously rectified in the individuals to help them gain health and harmony. At Ananda Spa, the traditional Indian System of Ayurveda is blended with the more contemporary Western spa approach. Being in Ananda indulge in the personalized activity program designed to meet the needs and health goals of its guests on individual basis. The Ananda Spa is spread in the wide area of 24,000 sq foot and offers an extensively designed menu featuring more than 80 body and beauty treatments. At the Spa in Ananda, there is a scientific process which is applied to catch hold of the imbalance in the three key bio energies or three Doshas such as Vata, Pitta and Kapha. These bodily doshas are scrupulously rectified in the individuals to help them gain health and harmony. Accommodation at Ananda, the best Spa destination in the world and number one for yoga and meditation offers its guests with a unique fusion of style and elegance to enhance the feel of serenity. The guests can choose to stay in our widely classified accommodations which include Guest Rooms, Villas, and Suites while enjoying the splendid views spilled across its enchanting surroundings. 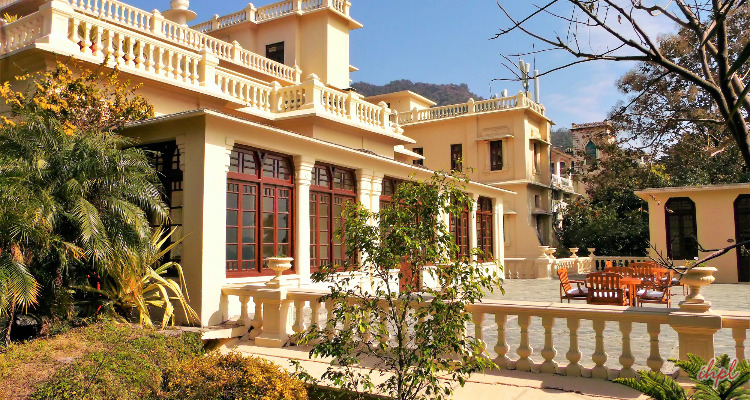 The rooms of Ananda resort are very spacious and offer one to enjoy the view of the majestic Rishikesh Valley. These rooms featuring walk-in closets and attached bathrooms are further classified for the panoramic views it offers. Valley View Rooms, Premium Valley View rooms and Palace View Rooms are some of the room categories at Ananda. Wide range of suites available at Ananda that provide for a luxury stay include Garden Suites, The Ananda Suite, The Viceregal Suite and the Ananda Villa. All the rooms in Ananda come fitted with luxury facilities and modern day amenities. While dining in Ananda you will come to know that every body type requires a customized diet. Since all the body types cannot sustain a standard diet. At Ananda the food concept follows the key principles of Ayurveda. Our expert chefs serve the guests with fresh natural food that is low in fat. They emphasis on the use of Whole grains, lean proteins, fresh vegetables and fruits and the minimum usage of artificial salts, flavors, colors and preservatives. The guests who desire to re-vitalize their body and soul along with incorporating healthy approach in their diet will love dining at Ananda. A special highlight while dining at Ananda is the Kitchen show at Ananda where the chefs would instruct you on how to make these healthy dishes at home for each body type.